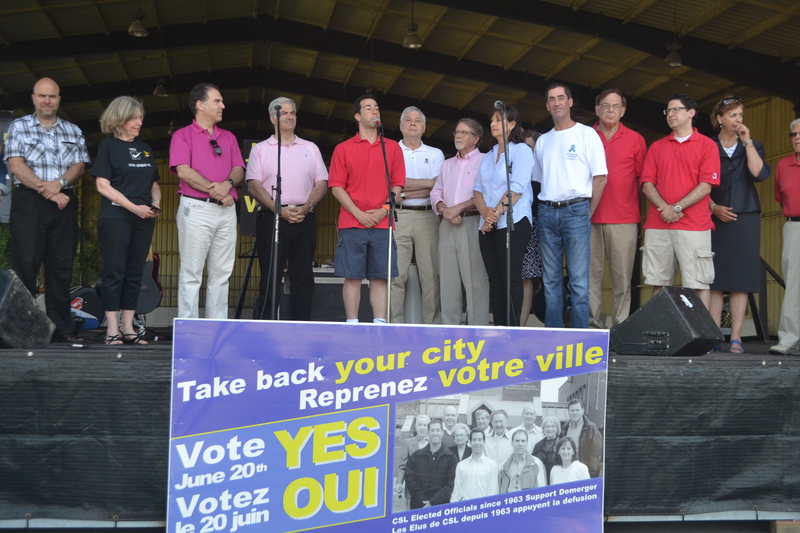 Cote Saint-Luc Mayor Anthony Housefather was featured on yesterday’s Global TV Morning News show and outlined his vision, locally and regionally, for the next few years. 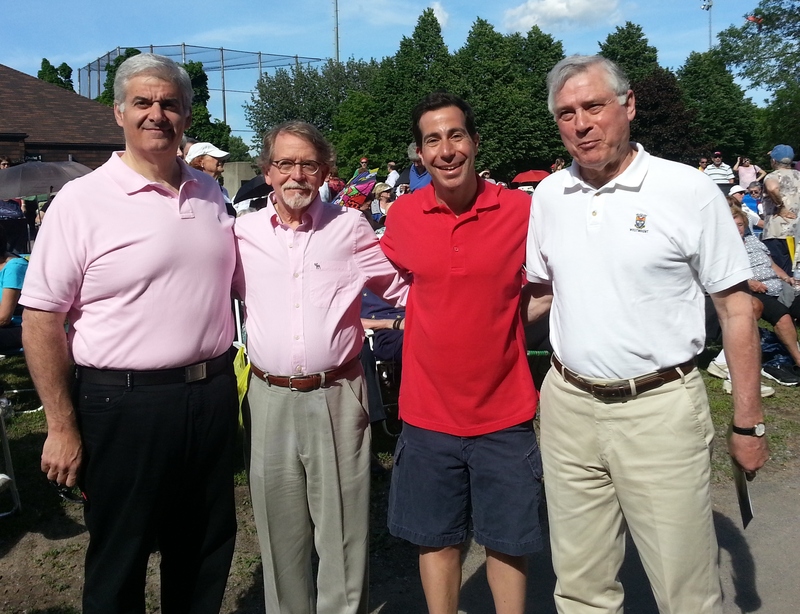 Watch this news clip as Housefather spells out his plans for the upcoming term in office. Did “money and the ethnics” really mean CSLers? Jacques Parizeau’s infamous words, blaming “money and the ethnic vote” after the Yes side’s razor-thin referendum loss in 1995 was back in the limelight last week when he spoke out against the Charter of Quebec Values. Mr. Parizeau revisited the controversy telling radio-show host Paul Arcand he was referring to the “common front” of the Greek, Italian and Jewish congresses that campaigned for the No side. 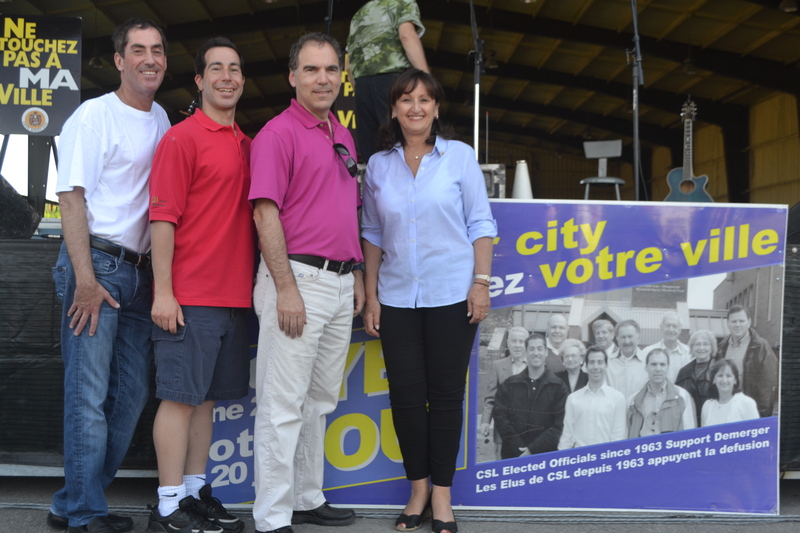 A dozen polling stations in the heavily Jewish district of Côte-Saint-Luc had not a single Yes ballot, he said. The Parti Québécois had probably expected its contentious secular charter to run into opposition from federalists, minorities and the party’s usual political foes. But now the PQ is facing fire from a towering figure within its own ranks. Former premier Jacques Parizeau went public on Thursday with a blunt repudiation of the charter of values that landed like a bombshell into an already volatile debate on religious freedoms. “It goes too far,” the Journal de Montréal said in summing up Mr. Parizeau’s views in a screaming front-page headline. In an open letter inside the mass-circulation daily, Mr. Parizeau makes his case, which had been the object of speculation for weeks. Mr. Parizeau, 83, has a tainted legacy when it comes to the sovereigntist movement’s relations with ethnic minorities. But he is regarded as an elder in the PQ and perhaps the most influential living figure among devoted sovereigntists. On Thursday, PQ minister Jean-François Lisée, a former adviser to Mr. Parizeau who now sits on the opposite side of the charter issue from his onetime boss, acknowledged the former party leader’s stature when he said Mr. Parizeau has been front and centre in every major debate in Quebec since the 1960s. “It’s a Quebec value” to hear from him, Mr. Lisée said as the government of Premier Pauline Marois scrambled to make the best of the embarrassing broadside. Mr. Parizeau’s critique, written in a measured and professorial tone, is that Quebec eased into secularism gradually and without a crisis, and the Catholic religious garb that nuns and priests once wore was set aside without the state resorting to laws. He attributed public support for the PQ’s plan to ban religious headgear in the public service to fear of Islamic extremism. Yet Mr. Parizeau insists Quebeckers are neither “mean” nor “vindictive,” and polls show that a strong majority opposes the notion of firing a woman over her headscarf. He also parts ways with Ms. Marois on the crucifix in the National Assembly. Mr. Parizeau says it should come down; the PQ wants to maintain it in the name of Quebec’s heritage. Mr. Parizeau carries his own baggage when it comes to ethnic groups in Quebec. He is remembered for blaming “money and the ethnic vote” after the Yes side’s razor-thin referendum loss in 1995. Mr. Parizeau revisited the controversy on Thursday, telling radio-show host Paul Arcand he was referring to the “common front” of the Greek, Italian and Jewish congresses that campaigned for the No side. A dozen polling stations in the heavily Jewish district of Côte-Saint-Luc had not a single Yes ballot, he said. In the same interview, he said immigrants came to Quebec to live in peace, and the PQ’s proposal is starting to frighten them. And the ban on visible religious symbols would target only Muslim women, not men. “What is circulating on social media is hardly reassuring for them,” he wrote in his letter. Mr. Parizeau is the most prominent but not the only sovereigntist to take aim at the Marois government over the charter. MP Maria Mourani quit the Bloc Québécois after being expelled from caucus for criticizing it. Former Bloc MP Jean Dorion has said the charter would sabotage relations with the sizable community of French-speaking immigrants from North Africa. Mr. Parizeau’s attack also contains a political warning. He notes that all federal parties staunchly support Quebec’s minorities in the debate. “In effect, federalism is presented as their real defender,” he said. The PQ has shown no sign that the critiques – from Mr. Parizeau or anyone else – are making it reconsider. In fact, a newspaper reported on Thursday that the party is weighing removing the right to opt out of the charter from its original proposal. Fire broke out in a home on Holland Road at the corner of Redwood Avenue on an otherwise quiet Friday night in Cote Saint-Luc just after 8:00 p.m. Flames shot high in the air and smoke billowed across parts of southern Cote Saint-Luc toward NDG. Firefighters arrived from across the West End and side streets quickly filled up with other emergency crews from Urgences Santé, Gaz Met, the Montreal Fire Department Auxiliary Brigade, Police, Red Cross aid to disaster victims and Cote Saint-Luc Public Security, EMS and vCOP. Residents and onlookers were ushered behind police lines at a safe distance as thick smoke blanketed the immediate vicinity. 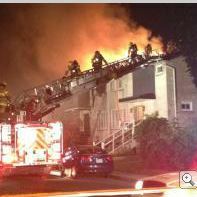 One firefighter was injured and transported to hospital. Auxiliary Fire Officer Mark Bindman, a Cote Saint-Luc resident and member of the municipal emergency preparedness committee was at his Friday night training session at Auxiliary Headquarters on Rachel Street. Bindman and his fellow “Buffalos” sprang into service and were rapidly on scene to support more than two dozen firefighters with cold beverages and refreshments. 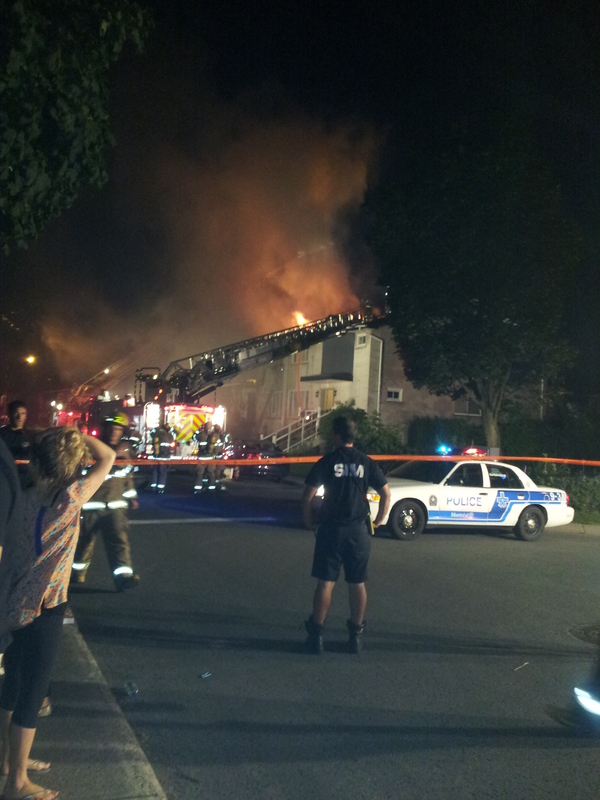 Cote Saint-Luc’s volunteer Citizens on Patrol was called in to provided perimeter control for the safety of residents and emergency crews. 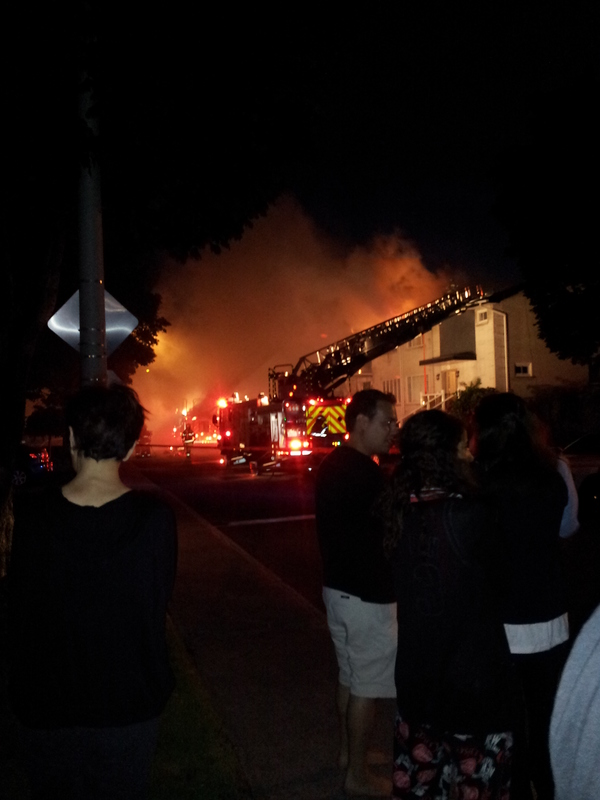 I joined vCOP on scene until we wrapped up as most fire crews departed shortly after midnight. Public Safety Director Jordy Reichson was in charge of local resources as he took up position at the Fire Department command post. Fortunately, there were no other injuries. Fire department officials told media they believe the fire was set off by a candle in the bedroom. “I was called to attention by fire trucks, looked out my window, went out on my balcony. I’m on the 15th floor of an apartment building and I saw flames shooting out, I think, at a minimum, 10, 15 fire trucks, ambulances, all careened down that area”, Francis Doft told CJAD News. Many thanks to the many emergency crews that responded quickly to suppress the fire and ensure maximum safety to the neighbours. Our wishes for a speedy recovery go out to the injured firefighter. Thank you especially to our Cote Saint-Luc volunteers at EMS (Jacques, Carmel and Caitlin) and vCOP (Lewis, Peter and Helen) for stepping in to serve our residents. Were you there? Please comment on what you saw. I have been concerned about railway transportation safety and the larger issue of emergency preparedness well before getting involved in municipal politics. In fact, it’s one of the issues that propelled me into my involvement in City Hall in the first place. The disaster of the last few days in Lac Megantic has made me, and many urban dwellers in Cote Saint-Luc and elsewhere, think deeper about what’s travelling through our backyards on the rails. Issues like these have been hot buttons in the argument to ensure that Meadowbrook stays green, as opposed to building more homes up against the railroad. These are issues I think about routinely, in terms of emergency preparedness, evacuation, emergency shelter, EMS, communications and so on. This video news documentary was produced by Ely Bonder for CTV News Montreal in November 1989, 12 months before I was elected as city councillor. 24 years later the same questions and concerns are being voiced across Quebec, across the country. 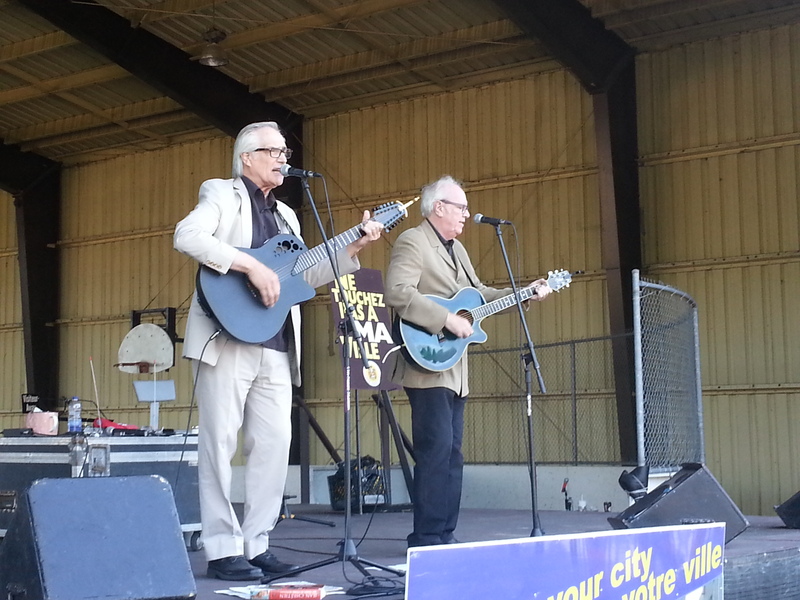 The Canada Day festivities in the City of Côte Saint-Luc on Monday, July 1 include a live performance by Bowser and Blue at 8:30 pm, the induction of Jackie Robinson on the Human Rights Walkway at 9:30 pm, and more. All events take place at Pierre Elliott Trudeau Park, on Mackle Rd. Free pedal boat rides on Centennial Lake begin at 1 pm. There will be a model airplane show from 1 pm to 4:40 pm, and inflatable games at 4 pm. The Canadian citizenship ceremony takes place at 5 pm. Canada Day cupcakes will be served at 7:15 pm. The Jackie Robinson induction ceremony takes place at 9:30 pm, followed by closing remarks from Mayor Anthony Housefather. The fireworks display begins at 9:45 pm. There will be live music from 6 pm to 10 pm by HI-FI Showband, Bowser and Blue, the Montreal West Operatic Society, and Raffi’s Accordion. See the Canada Day schedule at CoteSaintLuc.org/CanadaDay2013 for performance times. Children’s activities include a magic show, the children’s train, storytelling, glitter tattoos, arts and crafts, and more. The master of ceremonies is Dan Laxer from CJAD. The event co-chairs are councillors Ruth Kovac and Glenn J. Nashen. Event sponsors include The Suburban, Canadian Heritage, Domino’s Pizza, RBC, Bureau En Gros, Quartier Cavendish, Scotiabank, Qualitifruits, MAAC, Century 21, and Universel Inc. In case of heavy rain, the majority of activities will take place in the Confederation Annex. The Canadian citizenship ceremony will move to the Aquatic and Community Centre (5794 Parkhaven Ave.).The fireworks display will be postponed to Tuesday, July 2 at 10 pm. Residents can call 514-485-6806 ext. 5501 on July 1 for confirmation or visit CoteSaintLuc.org. 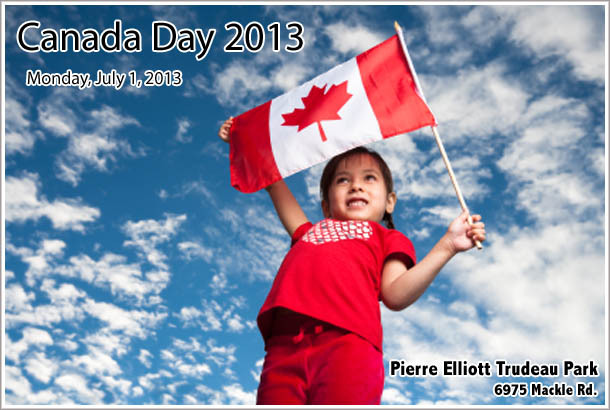 For a full schedule of events, visit www.CoteSaintLuc.org/CanadaDay2013. The Liberal Party of Canada have held Mount-Royal riding for 76 years. Has their winning streak finally run out? The Conservative Party thinks so. With growing popularity of Stephen Harper among ethnic communities, and in particular that of the Jewish community as he espouses huge support for Israel, the ground work may be nearer than many think for the Tories to retake Mount Royal. Mount Royal is the federal riding encompassing Cote Saint-Luc, Hamsptead, parts of Snowdon and Cote-des-Neiges as well as TMR. With the McGill law professor and world-renowned human rights advocate Irwin Cotler holding the MP’s seat for the Libs, the Tories need a star candidate if they hold out any hope to shift the tide. Stay tuned. A federal election call may be days away. via Why Tories think they can take Mount Royal – The Globe and Mail.